Thanks for all of your comments in the SlimKicker giveaway! 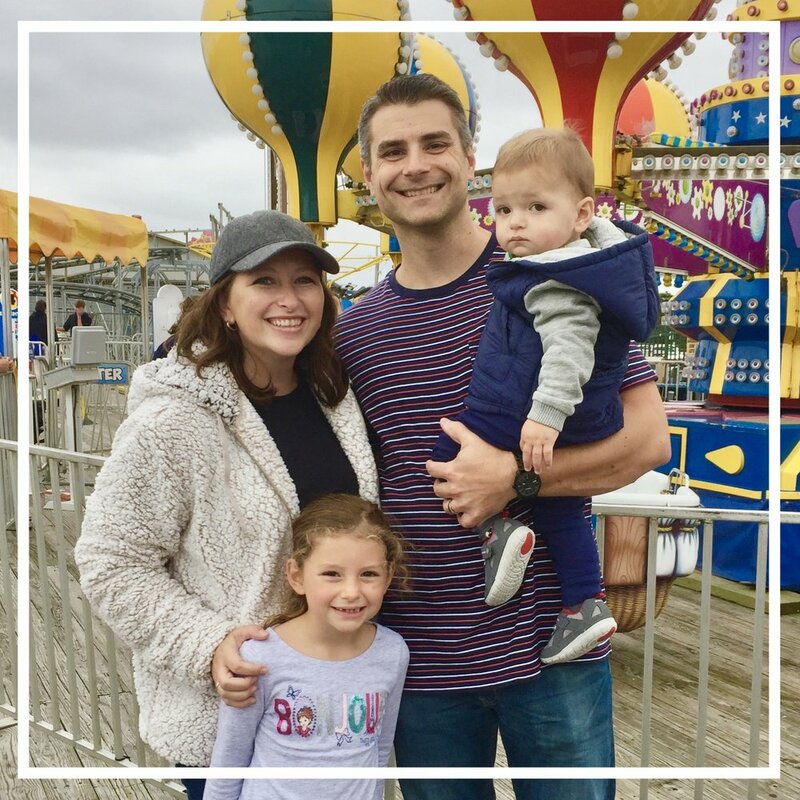 In case you missed it, head over to yesterday's post to enter to win a slow cooker from SlimKicker! SlimKicker turns your diet/fitness goals into a level-up game. When you join, you get points as you count calories, track your fitness, and participate in challenges. Meanwhile...some evenings I'm just so.not.into cooking. I know it seems like I happily and dutifully cook dinner each night, but let's face it...sometimes I'm just not into it. Sometimes, I get home late from work or I'm just feeling plain lazy and don't want to then spend 30+ minutes on preparing dinner. Let's face it, the eating process itself is finished in about 10 minutes and so spending more than 1/2 hour on dinner prep at 7:30 just doesn't sound appealing. I've rounded up some of my favorite quick dinners to share. Hope you enjoy them! Stir fry. This always does the trick. I throw lots of leftover veggies into a pan and saute away (yeah rhymes!). I love this dish because you can add anything to it. I like onions, bell peppers, carrots, broccoli, string beans...and I often use frozen veggies too. Toss with a little soy sauce or stir fry sauce and you are golden. 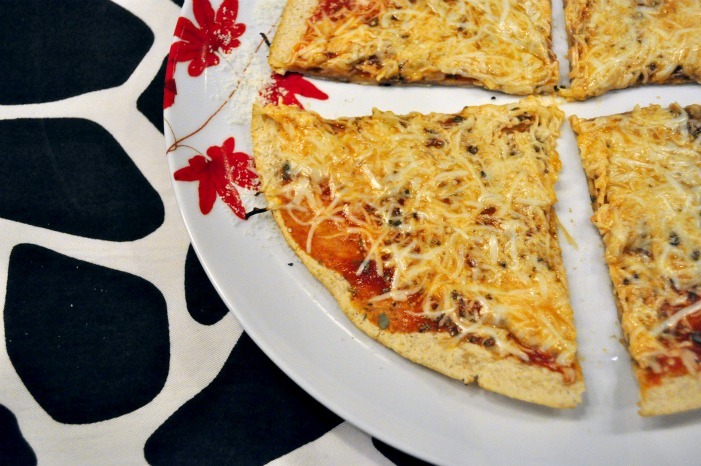 Grown-up English muffin pizza. Seriously, this comes together in minutes. So good, so easy and seems like such a treat. A 100 calorie English muffin, topped with jarred tomato sauce, sprinkled with oregano and bail and finished with a thick slice of fresh mozzarella. Mmmm mmmm good. Quinoa. 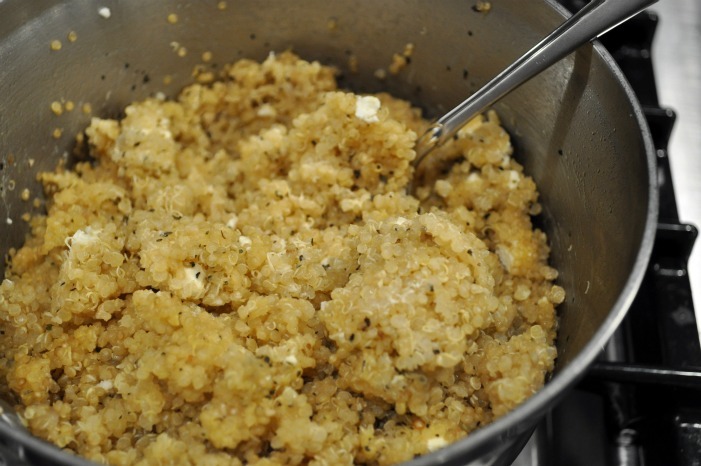 I love mixing in anything I have in the fridge, like my lemon feta version. I actually just created a really fantastic Mediterranean-style version last night that I can't wait to share with you. 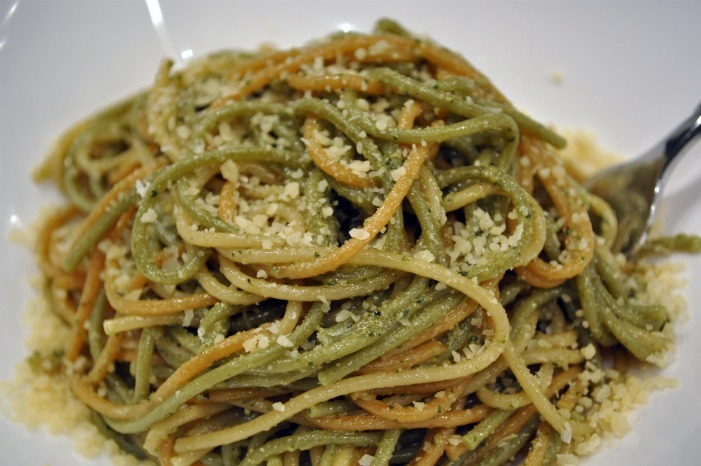 Pesto pasta. And I adore this oil-free version. I made a big batch with last season's fresh basil and simply defrost it in the microwave when I'm in a pinch. Added to spaghets with a little parmesan...sigh. 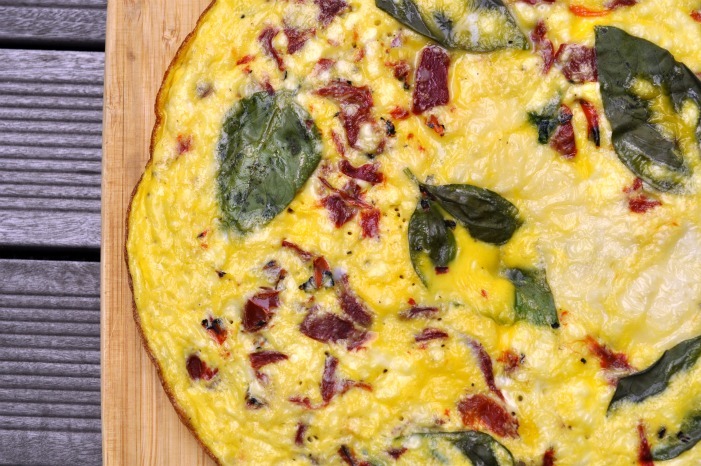 Roasted pepper, goat cheese & basil frittata. Or any frittata for that matter! These are fantastic because they take about 10 minutes to make and you can literally add any ingredients you have on hand. Leftover veggies, low fat cheese...they all make great frittatas. A big, juicy salad. 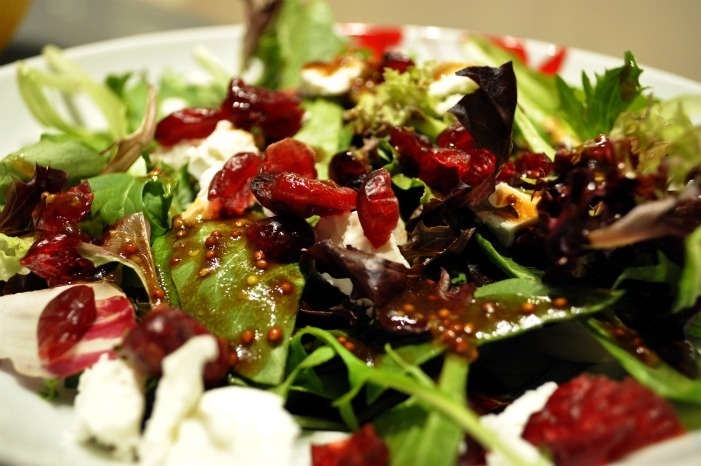 I love it with homemade vinagrette, tangy goat cheese and dried cranberries or a chopped up apple. Works every time. 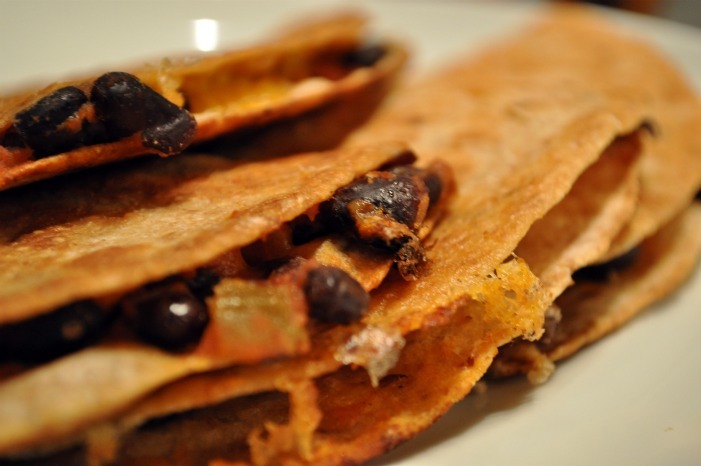 Black bean quesadillas. Another dish that comes together in 10 minutes. I mix black beans with salsa, load up a tortilla in a skillet, add some low fat cheese and cook through. Delish. And my absolute favorite of late? Skillet tortilla pizza. I've been eating these a lot lately. I always have the ingredients on hand and it comes together in a matter of minutes! Have a great day everyone! And don't forget to enter the giveaway if you haven't already!